As the poet said “The Deil’s Awa Wi’ The Exciseman” or at least with HMRC’s senses. Via the ever excellent LegIron it has been brought to my attention that HMRC are taking steps to crack down on people not paying duty on tobacco products. This news I’m sure will make the Puritans shriveled hearts sing for joy, if they’re allowed to sing that is. 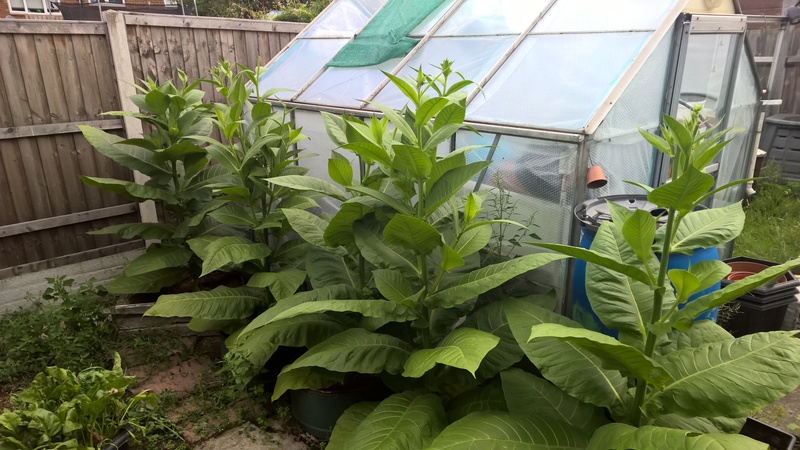 HMRC have decided that it’s time to crack down on raw tobacco and that unless you qualify for exemption if you deal with raw tobacco in anyway you will have to register with them, so that they can make sure you’re paying any duty you’re meant to. So far on the face of it this isn’t entirely insane, as people have started importing cured tobacco leaves to shred at home and not pay duty on the processed tobacco the revenue obviously want their cut from such illicit activities. So grow too many plants and put them on your compost and you need to register, put it in a garden waste bin and the waste collected needs to be registered, run a nursery and have dead stock you need to register, really the list just goes on and on. Any record that is required to be kept must be preserved for a period of 6 years and must be made available to an HMRC officer upon request. Fortunately for all you gardeners it looks like you probably won’t have to record what you did with the trimmings from that one weedy little plant in the border at least not yet. Of course failing to register, keep records or breaching the terms on your exemption, perhaps your plants grew too well, means you’re liable to penalties probably just a £250 fine. Now as I’m not the sort of person who would ever advocate breaking the law (no sniggering at the back) I stongly suggest that you register. Which is a painless task for as Nothign to declare report the HMRC don’t have an on line form for this, nor do they in fact have any sort of form at all! Nope if you need to register you have to write them a letter, but they do at least give some guidance on that, so I suggest we all get writing just in case there are any tobacco plants hiding in our herbaceous borders that might put on a growth spurt net year. Just hope that the HMRC consider you to be a “fit and proper” person. In the same spirit as the civic minded citizens I know you all to be, do be vigilant and if you think your local council or MP might have too many plants in their herbaceous borders do be sure to report them to the HMRC, and do let your local garden center know of their obligations. I’m sure the HMRC will appreciate our efforts in making sure that everyone who might be subject to these regulations registers properly. After all it really is important that we make sure that we register to legally grow harmless and completely legal plants that may die or need to be pruned. Tagged activism, Civil Liberties, freedom, HMRC, laws, Stupidity, Tobacco. Bookmark the permalink. Thankfully these regulations were a fairly short read – and yes as long as it’s “suitably” advertised and people are made aware of their legal duties then HMRC may have a little bit of work to o do. Most kind of you.